The Memory Mind of the Creator. The Akasha or Alaya Consciousness, depending on cultural definition is a storehouse of Source Consciousness we can access through deliberate and conscious raising of our vibration state. In the pure energy of the Source, everything that ever was, is, and will be exists in a interactive web of energy that records every choice, lesson, pattern, and solution of all living and non living things. Not just a storehouse of information but a fountain of creative Higher Source Consciousness. The Library of Light. When we touch the web with our consciousness we invite the joy and participation of creating in our lives. We are opening our own veils of truth to deeper empowered living. The sacred, pure blueprint and vibration of your soul exists here, past lives, future lives, parallel existences, knowledge, and incredible profound healing wisdom. Deeper wisdom of our soul clarity. Through our work in the Akasha, we develop a new level our own Soul Consciousness. If any of this sounds just too esoteric, the Records are actually quite simple, effective resources of vast soul level truth. In this training you will be taught safe, grounded techniques for raising your vibrational consciousness to work within the Records. You are here for a reason, a call from the soul to explore the Sacred Book of Self. We will learn to understand ourselves from love, heal our past lives, work in our soul lineage, and unleash our gifts. In the past, this school of knowledge was held by spiritual brother and sisterhoods that were not available to mass public. Now the Akashic Records are accessed by those who are consciously ready, and are receiving a calling to work and do more research for their own soul growth. This is an important part of humanity's evolution. We are becoming more aware. More are reaching for higher wisdom, greater depths of their spiritual growth, clear relationship with their Soul and Source. They begin to understand their own individual soul language of light. When you Know Thyself, you become clearer in your life choices, in the power of spiritual energy running through you, and your purpose. Simple and Sacred, the wisdom of the Akashic Perspective takes the blinders off of the eye of the soul and we are free to explore our relationship with our Higher Power. Loving Support and Soul Guidance in the Heart of Your Highest Potential. Those who tap into the Akashic Realm for their own growth, experience deep and clear perspective, undeniable self acceptance and supportive love towards growth. When we cultivate the Akashic Consciousness and connect, We begin to KNOW. We learn to know and love ourselves through the Source Mind, as it is written in the language love across the Universe. Can you imagine reading and feeling the love letters from our Soul, from our Masters, Teachers, and Loved Ones across every space and time we lived? We KNOW understanding and healing. We see ourselves through the loving eyes of our Council of Light. You create a resource and relationship with Source that addresses your Truth and cultivates Peace. Creation & Choice from Clear Perspective. The Akashic Records are about empowerment of choice. 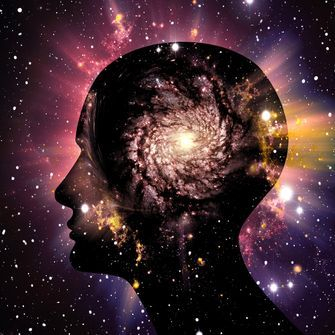 The Earth and Galactic Akashic Records are vibrational space in the Mind of the Creator where our potentials and records from lives lived in other times, dimensions and planets resides. We carry gifts from all of these soul lineages we have participated in. 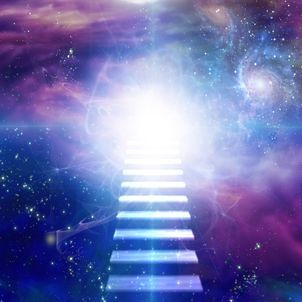 A collective vibrational representation of ascended elders and masters from many these soul groups are holding the pure sacred akashic soul pillar of each soul group, which can be accessed with Co-creative consciousness, the aid of librarian light beings and Forces of Light who reside in the Records. They have opened the connection to their facilitators on Earth to help bring the ascending human beings to the next level of conscious awareness and conscious action. The joy of this Earthly and Beyond Akashic Resource is the highest Aspects and Expressions of Your Being. They have shared, that this plane in the Universal Akasha is Ready to be Opened and Ignited by Beings of Conscious Choice and Will, YOU! To bring your Pure Soul Light of Origin to elevate the collective consciousness of the planet by establishing your own Star Pillar of Akashic Light. You have gifts from your galactic soul lineage that are ready to be unleashed. It's time to explore your awakening. 1.) An Open Connection and working relationship with the Akashic Realm. 2.) An Open Relationship and Understanding with Your Souls Language of Light (activating your psychic awareness). 3.) Your Souls Akashic Pillar of Light. 3.) Understanding Your Relationship with Your Light Council. 4.) Your Understanding of Your Own Archetypes and Soul Themes in relation to Your Soul Purpose. 6.) Visitation to the Sacred Halls of Wisdom. 8.) A Clear and Conscious Higher Channel of Higher Aspects of Soul Expression. Deeper into Your Expanding Soul through your Akashic Star Consciousness and Purpose. Do you feel a special connection to the stars and other worlds? We are surrounded by Galactic Masters who are ready to help shift the Earth into high gear and help us raise the vibrations while going through our own personal ascension process. Connecting to our origins can help ground our sacred, transcendental and most needed gifts in this time and space. We are here to anchor our light bodies and vast soul star consciousness into the NOW by creating our own grids of power. Come and experience a guided journey through the cosmos with our star family. Connect with the star that you are! 1.) 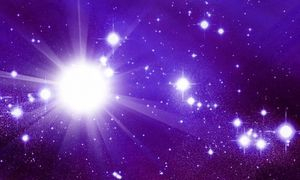 A working relationship with Your Akashic Star Records and Soul Memory. 2.) Understanding the Relationship with Your Light Council. 3.) Your Soul's Galactic Akashic Light Pillar. 4.) A Relationship and Understanding of the Conscious Dimensions of Your Soul. 5.) Deeper Understanding of Your Star Lineage and Seed Purpose. 6.) Embodiment and Integration of Higher Soul Star Aspects. 7.) Deeper Understanding of your Source Self. 8.) Full Expression/Light Body Embodiment of Your Sacred Divinity. 9.) A Clear and Conscious Higher Channel of Galactic Divine Expression. Please fill out the form, include the course name in the message box. You will be contacted prior to any payment. Enjoy the Journey!